It's a running joke at my workplace that I have to "put on my eyebrows" before any important meetings (I don't wear a stitch of makeup otherwise). If you've been reading Messy Wands for some time, you'll know that I have the world's sparsest eyebrows. Recently I've even considered tattoo-ing some on so I won't have to deal with the meticulous application ever again, but the risk-averse part of me could never go through it. 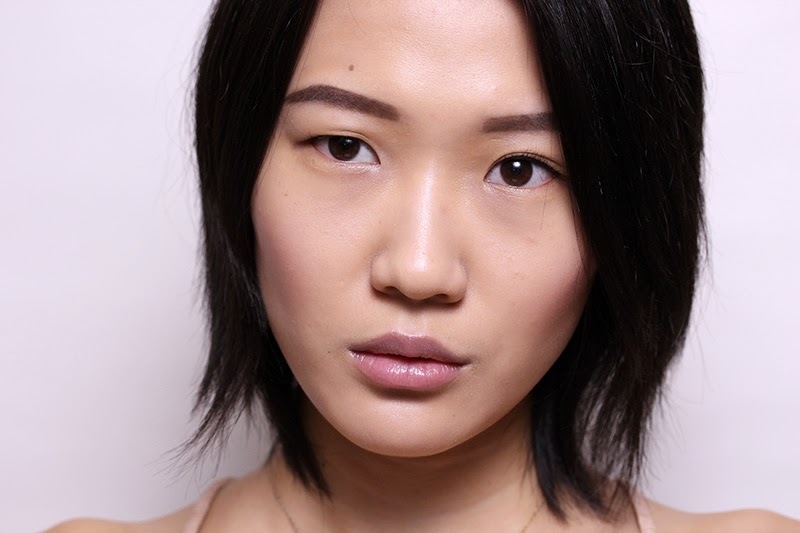 Now, I have been very satisfied with my staple Shu Uemura retractable brow pencil. I have a healthy supply of refills even though I can only get them when someone from home visits me. The reason I picked up the Make Up For Ever Aqua Brow in 40 Brown Black was because I wanted something waterproof for my trip to the Dominican Republic a month ago, and because Geekz invoked Jeremy Renner. When that man says "brows, lashes, lips," who am I to argue? 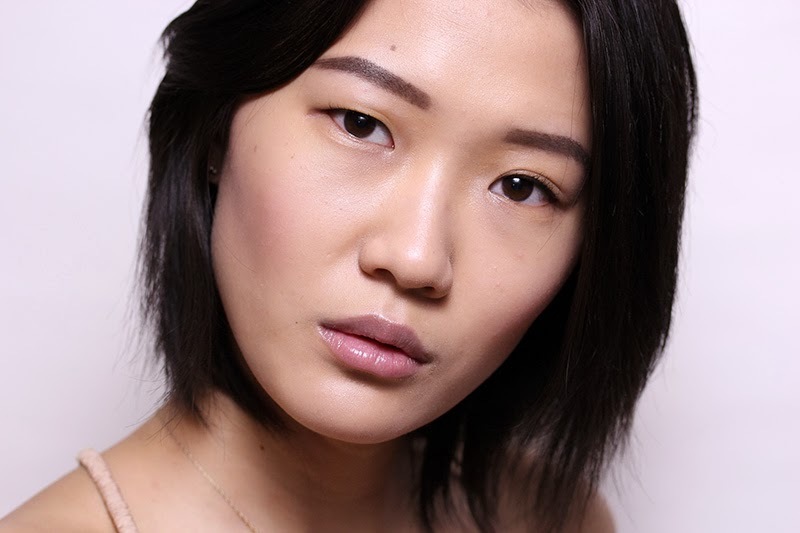 You've probably seen enough pictures of me sans eyebrows by now (and if you're new, here's an eyebrow tutorial, complete with browless pictures and funky hair) so you'll know this product gives some serious eyebrows. It's a little darker than my Shu Uemura pencil, but I think it's closer to my hair color. 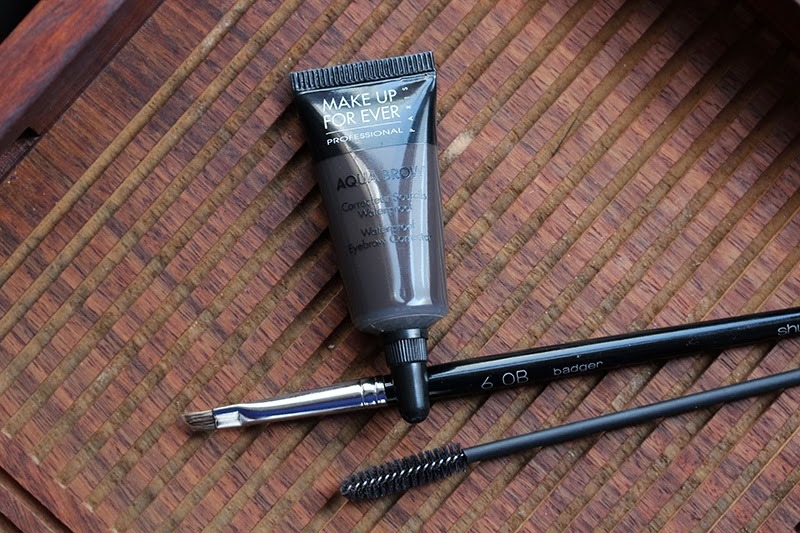 When using Aqua Brow, heed the cliche "a little goes a long way." To apply, I squeeze a smidgen out of the tube and brush it evenly on to my Shu Uemura 60B Natural Brush (most people squeeze it onto the back of their hands, but I like to eliminate mess when I can). I start from the center and with quick strokes, color the brow in – I find it easier to first draw in the tail, then work towards the front. Don't worry if it looks too dark, you can always use the spoolie to tone it down. I submitted Aqua Brow to all manner of tests during my trip. After sweaty days under the sun and in the pool, I can confirm that the formula is indeed waterproof. However! It is not smudge proof, so you'll still have to be careful with your hands. Make Up For Ever Aqua Brow in 40 Brown Black retails for $20 and is available at Sephora.com.